Embracing social and digital media as a core strategy in recruiting physicians and other healthcare professionals has become central to recruitment success. 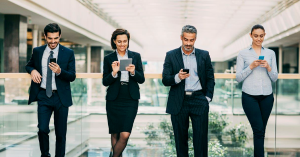 But leveraging social media successfully requires both a keen understanding of the candidate pool and proficiency in social media to engage with them. 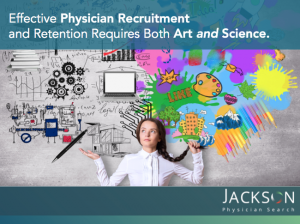 This presentation will review nationwide trends as well as explore what hospital administrators and recruiters can do today to better utilize social media for physician recruitment. 94% of all physicians use smartphones for professional reasons – Source: Maximizing Multi-screen Engagement Among Clinicians, Epocrates, Inc.
31% of all physicians use social media for professional networking – Source: Maximizing Multi-screen Engagement Among Clinicians, Epocrates, Inc. Embracing social and digital media as a core strategy in recruiting physicians and other providers has become central to recruitment success. But leveraging social media successfully requires both a keen understanding of the candidate pool and proficiency in social media to engage with them. Sharing high quality, engaging content is the best way to be successful on social media. You can find more physician recruitment tips here. Our last post regarding the importance of developing a brand for your healthcare organization identified what factors to consider when developing how you want the community and potential employees to view your system.